Since opening its doors in December 2014 Amilla Fushi resort Maldives has been making waves in the Maldives. 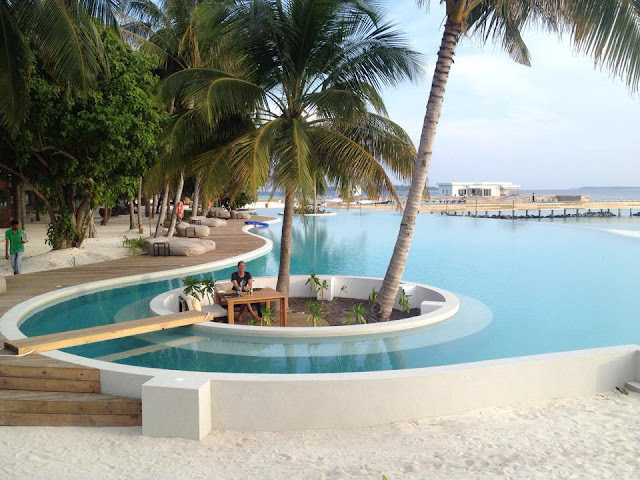 It was the first resort created by newcomers, The Small Island Company. They wanted to blaze a trail by creating a resort which was fresh, fun and un-stuffy. And it certainly is an innovative resort; combining raw natural beauty with contemporary architecture and their ‘island home’ concept. The main ethos behind Amilla Fushi resort in the Maldives is to make each guest feel as though they are at home, in fact the name ‘Amilla Fushi’ means ‘your island home’. 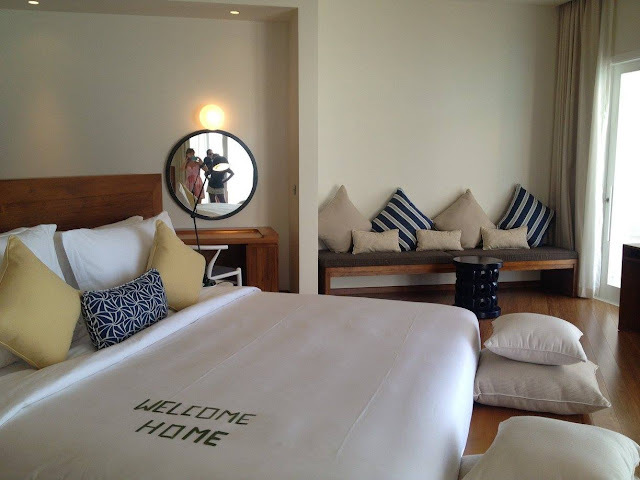 So how do they achieve a homely feeling within the confines of a luxury Maldives resort? Through a combination of factors. For starters, the accommodation is called ‘houses’ rather than ‘villas’, the idea is that guests associate them with being their own property so they feel less like visitors and more like insiders. Although the service is excellent, the atmosphere is laid-back, so they deliver everything you want or need but it all feels very comfortable and normal. 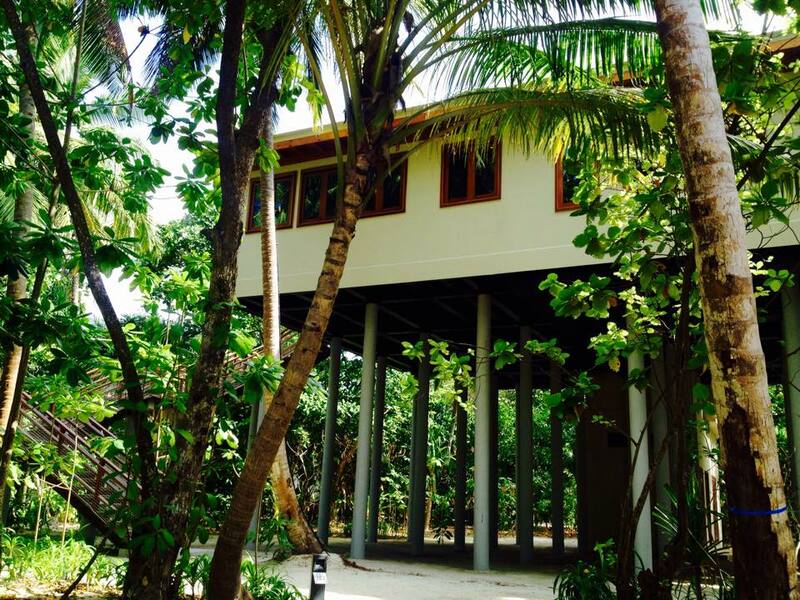 Amilla Fushi is the first resort in the Maldives to have a grocery store, 'the Emperors’ General Store'. This may not sound like much but if you've ever been to the Maldives you'd already know that most resort stores sell little more than souvenirs, clothing and jewellery. But this shop sells everything from Frosties to foie gras. Guests staying in the larger ‘residences’ can utilise the self-catering option if they wish to, as they are actually given private kitchens. Again, this is totally new to the Maldives' resorts, because no other resort in the Maldives offers self-catering options as yet, even though this is a familiar concept at high-end villas in other island destinations such as Mauritius. You can even pick up some fine wines from the Cellar Door wine shop next-door. The international dining venues at the Bazaar alongside the pool (with the exception of Luke Mangan’s signature restaurant, Lonu) are laid out adjacent to each other to create the impression of the hub of the neighbourhood. These elements help to create a distinctive resort experience. 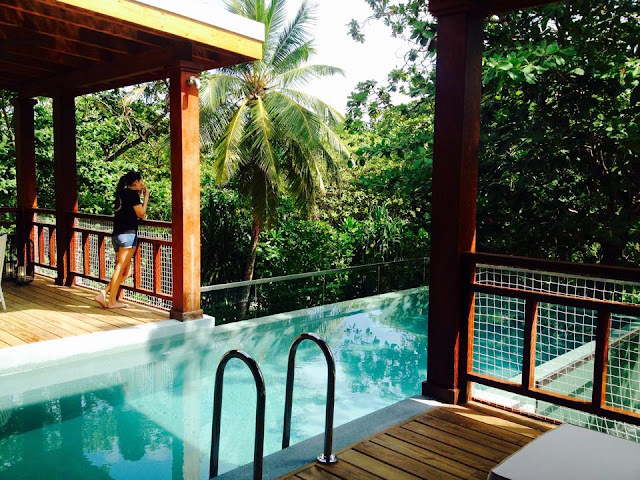 The ‘houses’ are very distinctive, and I absolutely fell in love with the Treehouses, which come complete with plunge pools towering 12m above the ground. I brought my seaplane pilot friend Tracy to check them out with me on a girl's weekend, and we both agreed they have major wow-factor. They are surrounded by lush foliage, and they look nothing like anything else you can find in the Maldives. These spacious and elegant retreats offer unbeatable levels of seclusion and a genuinely atmospheric island experience. If you don't like heights, try the sleek, brilliant-white Lagoon Houses and Ocean Reef Houses. They offer bright and breezy over-water living and are perfect for those who can't get enough of the ocean. Nautical themes are subtly woven into the contemporary design, which incorporates a unique layout to maximise on space. 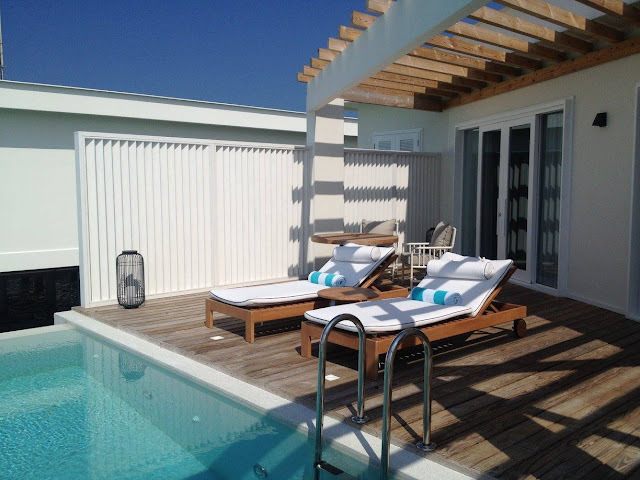 The beach villas have a similar design but with the addition of some extra space, and of course direct access to the powdery white sand of the beach. The attractive Balinese spa offers a wide variety of Balinese massages as well as other massages from around the world. Pampering treatments including body scrubs and facials are also available. A free 50-minute spa session is available for every guest every single day; possibly another first in the Maldives. Non-motorised watersports like kayaking as well as childcare services are complimentary, in order to reduce ‘bill shock’ when guests check out. 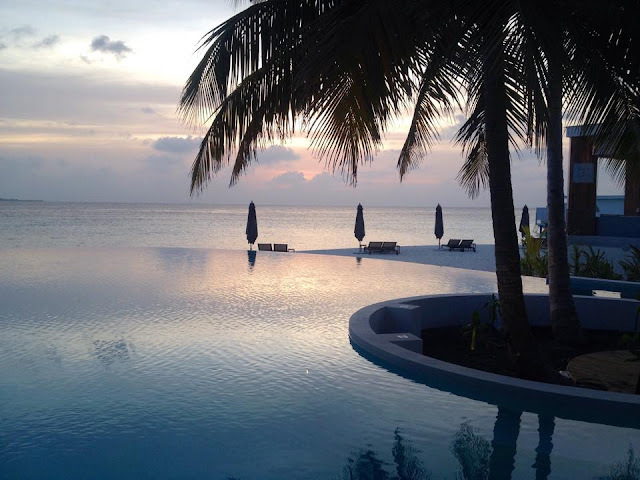 On this note, it's worth mentioning that Amilla Fushi is an all-inclusive resort, and the aim of this is to make everything as simple as possible for guests, so when you check out everything should be as easy as pie. All in all, Amilla Fushi offers a well thought out, genuinely fun and breezy concept. Thank goodness for a fresh take on the luxury Maldives resort experience!